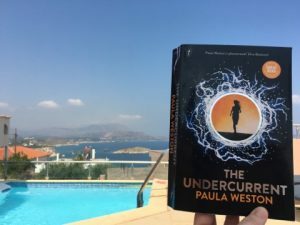 The Undercurrent – out now in Australia and New Zealand – is a speculative thriller set in near-future Australia and, yes, it’s a standalone novel. Firstly, after the challenge of telling a story over four books with the Rephaim series, I wanted to push myself to write a tightly contained narrative in a single novel. Secondly – and more importantly – when I understood the story I wanted to tell with these characters, I realised it only needed one book to do it. I had a number of competing priorities in my life at the time and felt like I could never get my teeth into this story, but it did come together, piece by piece, taking longer than I expected because I needed to get it right. I tend to do everything at pace, but life was forcing me to slow down with the book and take my time. I hope I’ve produced a good novel as a result. It’s ambitious, I know. I hope it takes people by surprise (in a good way!). Most of all, I hope they’re hooked by the characters and the story, and enjoy the ride. The first copy of The Undercurrent to reach the Mediterranean! My dear friends the Alfords took their copy to Crete this week.